Dwarf dahlias are good container plants. For full-size varieties, you'll need a container as big as half of a whiskey barrel. Some of us remember the dinnerplate dahlias our grandparents grew. The flowers were enormous, up to 10” across, and came in almost every color except blue and black. 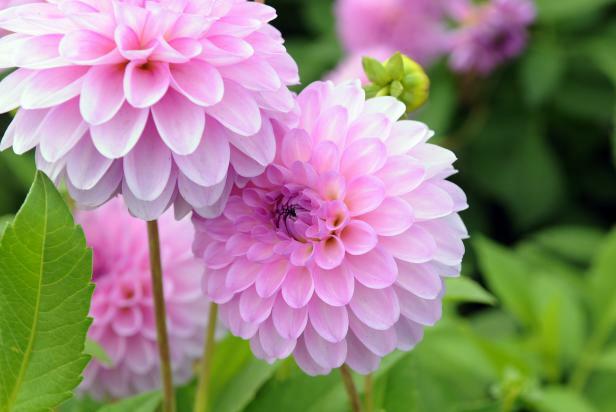 Dahlias are still dazzling additions to the garden, blooming from summer until frost, and they're available in a variety of sizes and shapes, from cactus and peony-flowering types to pompons, anemones, singles, doubles and more. 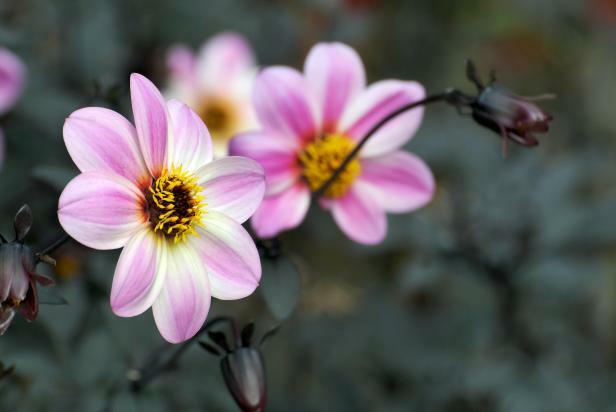 While dahlias are often called bulbs, they actually sprout from tubers. Plant them after the last spring frost, or when the ground temperature is about 60 degrees F.
These tender perennials aren't fond of the hot, humid weather in some regions, but they're easy to grow if you follow a few basic steps. 'Mystic Dreamer' dahlias are hardy to USDA Zone 9. 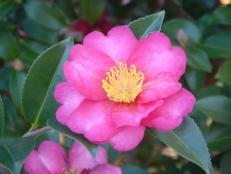 The pink and white blooms are backed by mahogany-black foliage. First, choose a planting spot that gets 6 to 8 hours of sun each day. Cool morning sun is ideal. A location with some protection from the wind will help keep tall varieties from toppling over. Next, check the pH level of your soil with a purchased test kit or ask your county extension service to test it for you. Be sure to tell them what you’re growing. 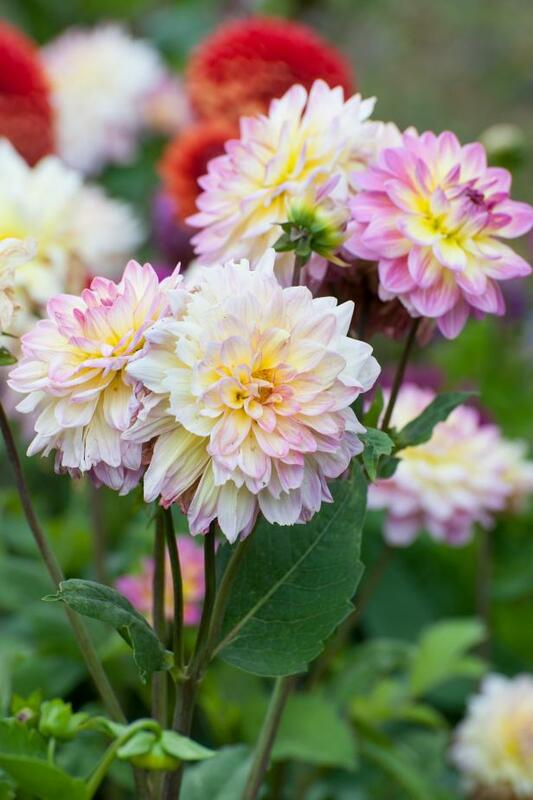 Dahlias like a pH level of 6.5-7.0, so add amendments as indicated by your results. Loosen the soil and work in some well-rotted manure or compost to improve its texture and drainage. Add organic fertilizer, following the directions on the package. Check the label or tag on your dahlias to see how far apart and how deep to plant them. In general, planting holes should be 6-12” deep, unless you’re growing small varieties. Put the tubers in with the “eyes,” or growing tips, facing up. Insert any stakes you’ll need to support tall varieties, being careful not to stab the tubers. Cover them with 2-4” of soil and gently firm it down. Wait until the tubers sprout before you water. Too much water can lead to rotting. Stake the stems as they grow, and keep your plants deadheaded. You may want to pinch tall varieties to keep them bushy. Short varieties are usually bushy anyway. Dahlias make excellent cut flowers. After you bring them in from the garden, re-cut the stems and let them stand in hot water (160-180 degrees F.) for an hour before arranging them. They should last at least 4 days. 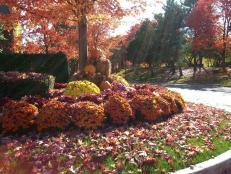 Dahlias may survive Zone 7 winters if they’re blanketed with a thick layer of mulch. In Zones 3-6, you’ll need to lift and store the tubers or treat them as annuals and buy new ones next year. To store your tubers, wait until the first frost blackens their foliage and then cut it back to 2-4” above the ground. Carefully dig the tubers, brush off the dirt, and store them in a paper bag or ventilated box with some peat moss or sawdust. Don’t forget to label each variety, so you'll know what you're planting next year. For a jump start on your summer garden, plant dahlia tubers indoors in containers 4-6 weeks before the last spring frost. Keep the tubers in a dark spot that stays around 45-55 degrees F. Check them from time to time and mist them lightly if they start to shrivel, and toss any that show signs of rotting. When the weather warms back up, you can divide the tubers, leaving at least 3 eyes per clump, and replant them in your garden. 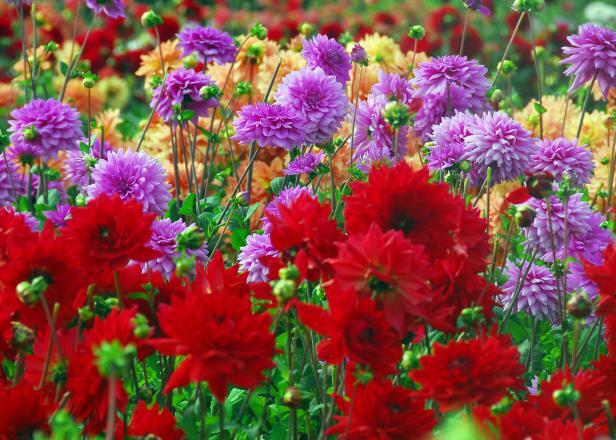 Give your chrysanthemums some company this fall with these colorful flowers. 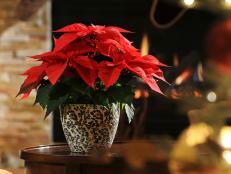 Everything you need to know about everyone's favorite Christmas flower. Chop it for coleslaw or shred it for stir-fry. 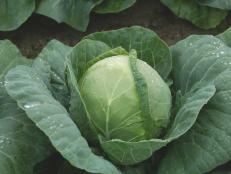 Any way you slice it, cabbage is king. Dress up a dreary landscape with colorful shrubs and flowers. 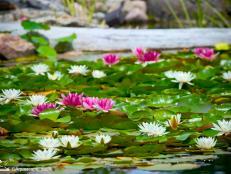 Cold weather can turn your beautiful water plants into mush. Here's how to save them.